First Warn Weather Team: Snow Totals and A Warm Up for The Weekend! Good afternoon Stateline! The cold arctic blast is now behind us. 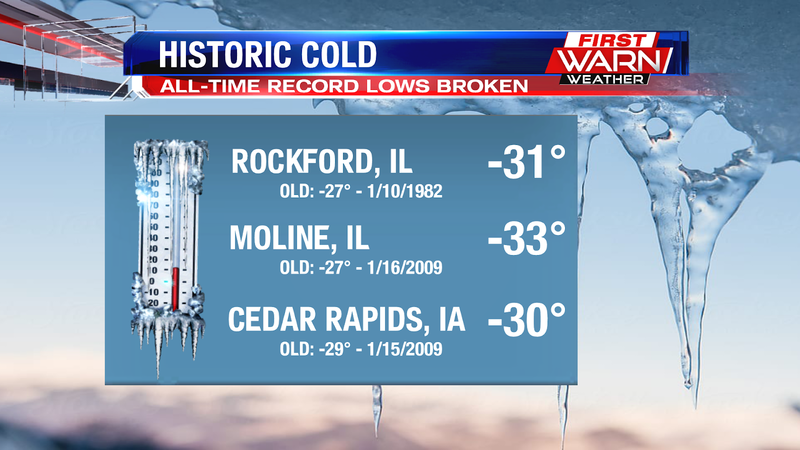 We had a couple of places across the Midwest including Rockford that broke their all-time record low. 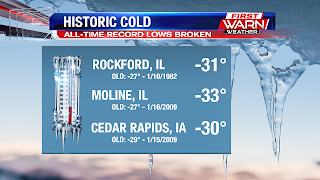 Both Moline, IL and Cedar Rapids, IA broke their records that were set back in January of 2009. 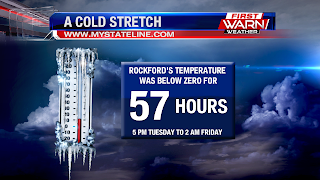 Rockford bottomed out at -31°, Moline got down to -33°, and Cedar Rapids got down to -30°! 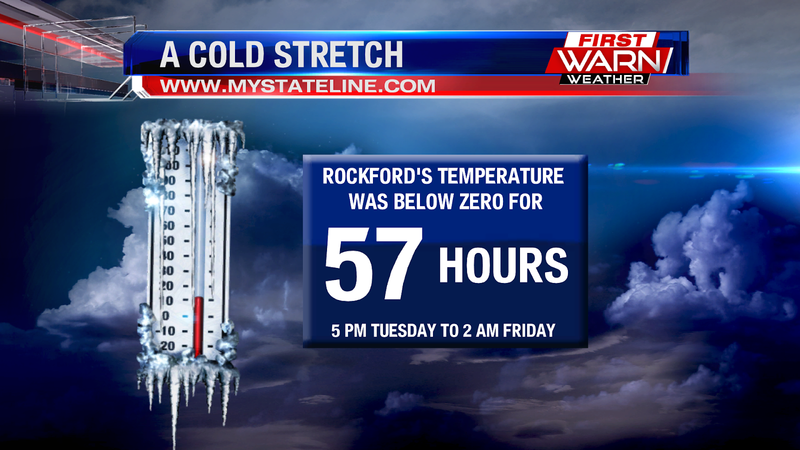 Not only that, Rockford's temperature was below zero for 57 straight hours. This began at 5 PM Tuesday evening, and we didn't make it back into the positives until 2 AM this morning! We also had some light snow make it's way into the viewing area last night and into this morning. 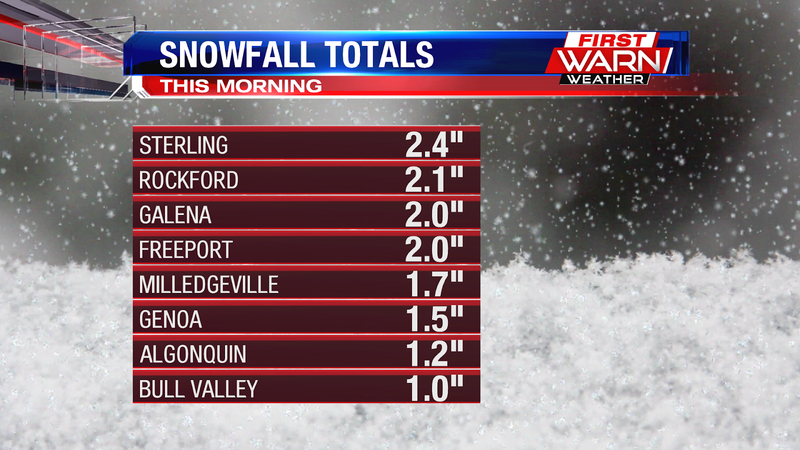 Most areas across the Stateline saw snowfall totals between 1 to 3". Our top report came from Sterling in Whiteside County with 2.4". The Rockford International Airport record 2.1"! The light snow also created some slick spots out on the roads for the morning commute this morning. Please take extra caution during the evening commute as there could be a few slick spots on major roadways causing slippery conditions. After a wild and record breaking week, a warm up in is store for us here in the viewing area. Although we only make it into the teens today, it still considered a warm up considering we had high's in the negatives the past 2 days. 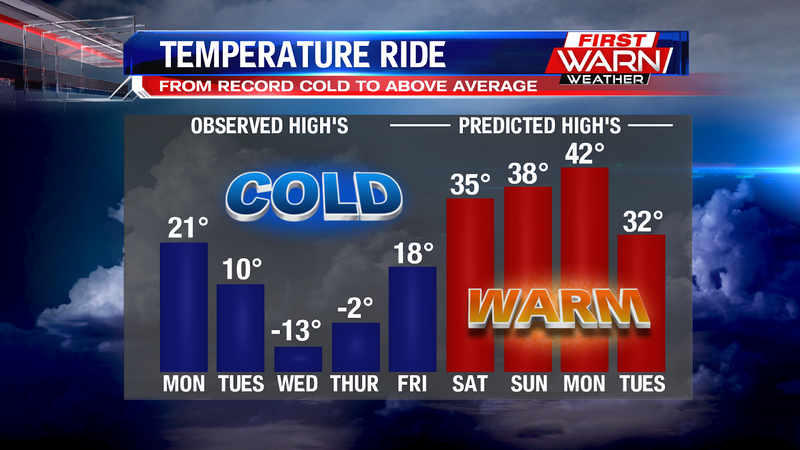 Saturday & Sunday will warm up into the mid to upper 30's and then we will be in the low 40's on Monday. A much needed warm up after dealing with that arctic blast this week! Enjoy the "warm" weather!